Welcome to Lake Tahoe, your destination for year-round limitless fun and adventure! 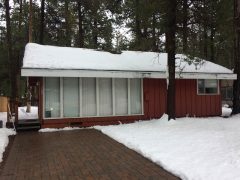 Whether you’re here to enjoy our scenic wilderness or coming to try your luck at the black-jack tables, South Lake Tahoe can offer you the vacation you’ve always dreamed of in one of our many Lake Tahoe property rentals. Known as The Jewel of the Sierras, Lake Tahoe is the perfect place to enjoy outdoor summer adventures! Explore the natural beauty of the region on the numerous hiking and biking trails available, work on that golf swing, or try your luck fishing at one of the many lakes, rivers and streams around the area. They will even cook-up your fresh catch for you at The Blue Angel Café (located on Ski Run Blvd). Enjoy the scenic beauty of Lake Tahoe on a paddlewheel cruise, stroll along the many beaches on our shores, or spend a relaxing afternoon horseback ride in the mountains. If you’re looking for deep powder, breathtaking views, and plenty of fast-paced skiing and boarding, we welcome you to visit us during the winter months. Heavenly, Kirkwood, and Sierra-at-Tahoe are all conveniently located in or near South Lake Tahoe and offer skiing and boarding from beginner to advanced levels. For those of you who enjoy seeing the Tahoe backcountry, try out the many cross-country skiing or snowshoeing trails we offer. Be sure to take an exciting snowmobile tour, or treat yourselves to a romantic sleigh ride! 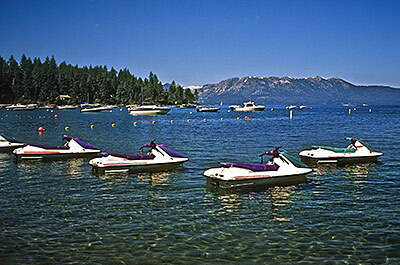 South Lake Tahoe also offers limitless opportunities for your children to have a great vacation. Miniature golf and video arcades provide hours of entertainment for the younger set. Enjoy a hayride in a meadow, movies at the theater, or plan a picnic at the beach. The indoor ice skating arena is also a great place to enjoy some old-fashioned family fun. And the public pool and playground at the rec center will provide relaxing entertainment for the little ones! Nightlife in South Lake Tahoe is an adventure all its own! Round-the-clock action can be found at the casinos, where you can find excellent restaurants, nightclubs, and gaming to satisfy your desires. Be sure to check out the all-star entertainers that frequently perform at the casinos’ showrooms! With so much to do in South Lake Tahoe, you and your family will find that we are truly one of the world’s favorite places to stay and play. 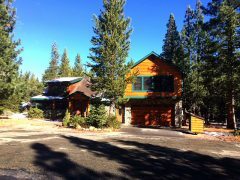 We invite you to come enjoy the beauty, adventure, and excitement that Lake Tahoe has to offer!